Greek Foreign Ministers Giorgos Katrougalos and Cyprus Nikos Christodoulides will be in Lebanon on 10 April 2019 where they will participate in the Greece-Cyprus-Lebanon Tripartite Ministerial Meeting that will be hosted by their counterpart Gebran Bassil. The agenda of the three Ministers’ talks will include recent developments in the wider East Mediterranean region, strengthening the EU’s relations with Lebanon, bilateral relations, the refugee issue, energy as well as regional and international issues. Discussions will also focus on enhanced cooperation opportunities in areas related to security and stability, mutually beneficial economic development, tourism, education and cultural co-operation. The political crisis that has oscillated Lebanon over the past period has been the reason why the tripartite co-operation between Greece and Cyprus, Lebanon, has not progressed, but this seems to change after the establishment of the Saad Hariri government on 31 January 2019. 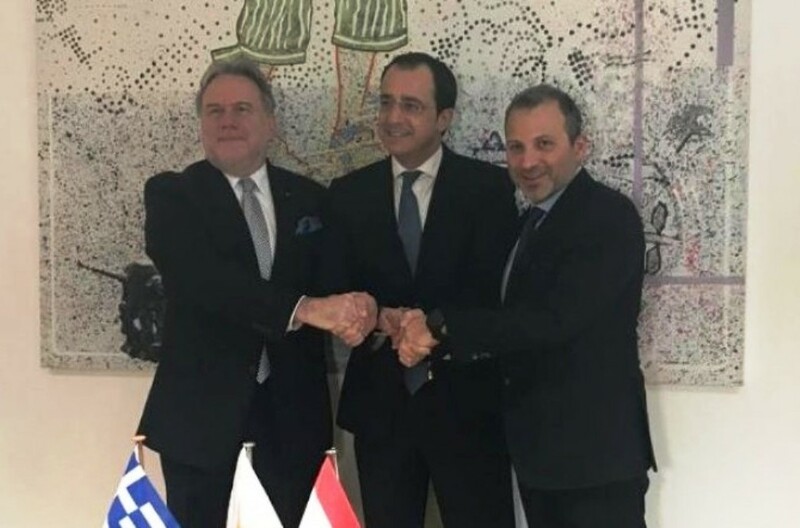 It should be noted that Cypriot Foreign Minister Nikos Christodoulides paid an official visit to Beirut on March 28, 2019, where he had meetings with both his counterpart and the state leadership of the country. During his visit with his Lebanese counterpart, he discussed the strengthening of bilateral co-operation in the political, military and economic spheres, while preparations were made for the tripartite.